William A. (Bill) Rinke, 82, of Reeds Spring, MO, passed away peacefully on October 25, 2014. He was the son of the late James F. and Mary J (Strong) Rinke, brother of the late Elizabeth Melser, and husband of the late Delores Y. (Irvine) Rinke. Bill is survived by his three children: Mary G. (Nicholas M.) Brownsberger of Doylestown, PA; James E. (Vicki A.) Rinke of Katy, TX; and Richard W. (Louise M.) Rinke of Overland Park, KS. He is also survived by 10 grandchildren and 15 great grandchildren. Born in Indianapolis, IN, Bill graduated from Princeton High School, Princeton, IN, where he and his family were long-time residents. He served in the U.S. Air force during the Korean War, stationed at Fairchild AFB, Spokane, WA. He then had a long successful career as a Manufacturer’s Representative primarily based in the Kansas City area. He and his wife, Dodie, served in church leadership roles throughout their lives, and Bill served the Boy Scouts of America as Scoutmaster and camp director during the mid-1960’s. Retired in 2001, Bill and Dodie moved to the Table Rock Lake area, outside Branson, MO.  HVR wishes you Godspeed, Bill Rinke. True to his Indianapolis roots, Bill was a lifelong racing aficionado and won many races on the Vintage Racing circuit in his 1962 Lotus Super 7 (Old 77). 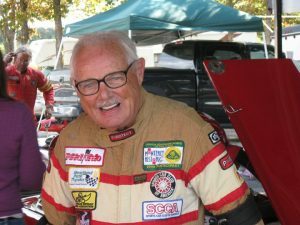 He was an SCCA driving instructor, member of the Age and Treachery Vintage Racing and British Car clubs and founded the Heartland Vintage Racing Association in 2009. Until his final illness, Bill was never still, and at age 80 obtained his CDL, drove the Branson Trolley, and drove and maintained the Kimberling City United Methodist Church Bus. He also contributed to the Church Safety Committee and designed driving safety courses for young drivers in collaboration with MODOT and SCCA. 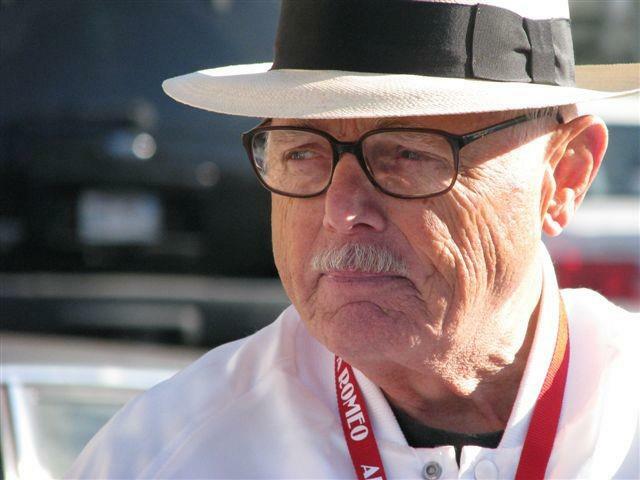 Throughout his racing career, he introduced many to the sport of racing. In lieu of flowers, donations may be made to the Kimberling City United Methodist Church (www.umckc.org), or Seasons Hospice, Springfield, MO (www.springfieldhospice.com). Visitation will be Friday, November 7 from 6:00 to 8:00 pm at Stumpff Funeral Home in Kimberling City, MO. Funeral service will be Saturday, November 8 at 11:00 am at Kimberling City United Methodist Church, followed by graveside service at Pinecrest cemetery. Bill was known for owning one of the finest examples of Lotus 7's in existence. Affectionately called "Old 77", SB1507 was assembled at the Lotus factory and was not a kit car. It was delivered August 6, 1962 to a dealer in London along with 5 other sister cars. All were left hand drive and obviously headed for the US. 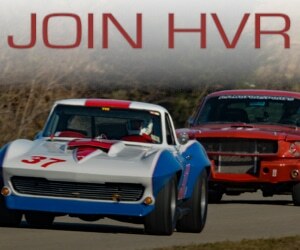 SB1507 was restored to original specifications, and vintage raced successfully all across the US. Brian Redman and Sam Posey used the car as a back drop for an ESPN piece in the 1995 Monterey Historics at Laguna Seca. Redman commented that this was the best restored 7 that he had ever seen. I knew Bill from his SCCA activities. Most everyone in SCCA is friendly towards new people, but Bill is one of those who stood out because the first time and every time he approached me he did so like we’d known each other for decades. He was an extremely nice individual and was one of the people you always smiled when you saw him venturing out to your corner station to see how things were going. He was great to chat with and to seek advice from. Thanks for visiting our site and for your comment. Bill’s #77 Lotus Super 7 was sold to another enthusiast in the Springfield, MO area – so it stayed close to home.